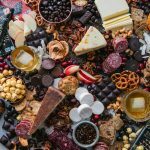 This Chocolate and Bourbon Cheeseboard is such a fun spread to serve to guests during the holidays! 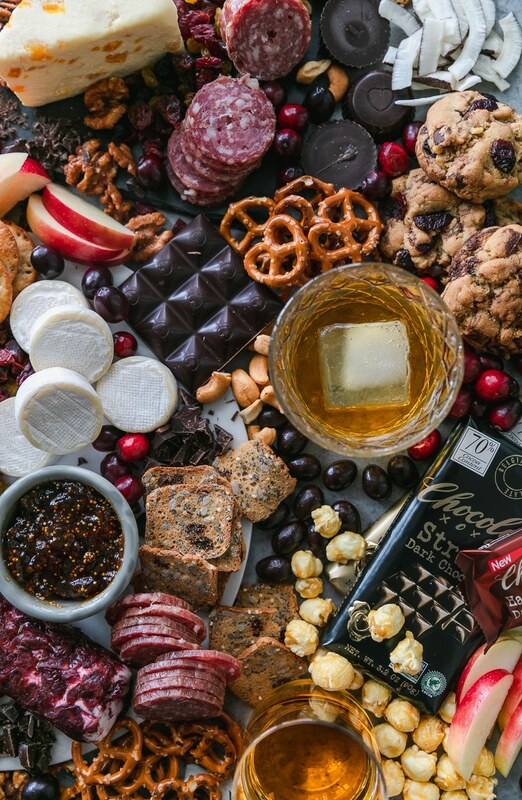 It’s filled with your favorite cheeses, dark chocolate, crackers, fruit, preserves, candy, nuts, and glasses of bourbon! 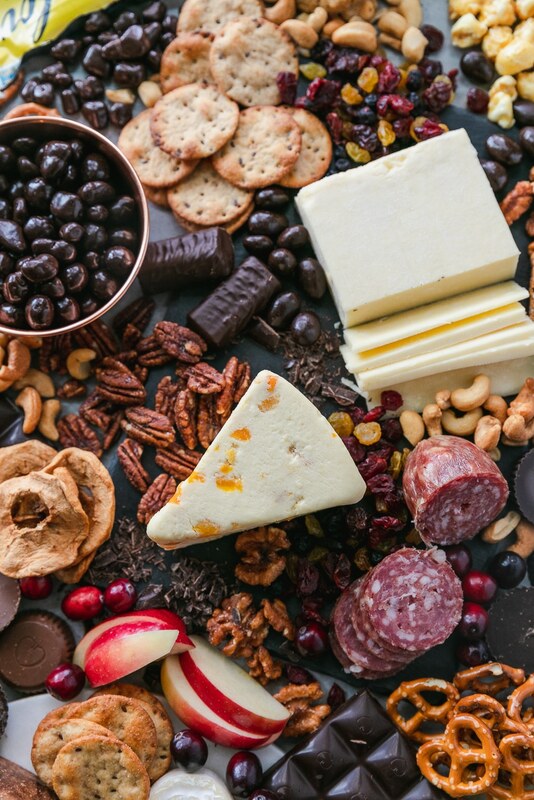 It’s the perfect dessert or appetizer board to entertain with this holiday season – such a crowd pleaser! 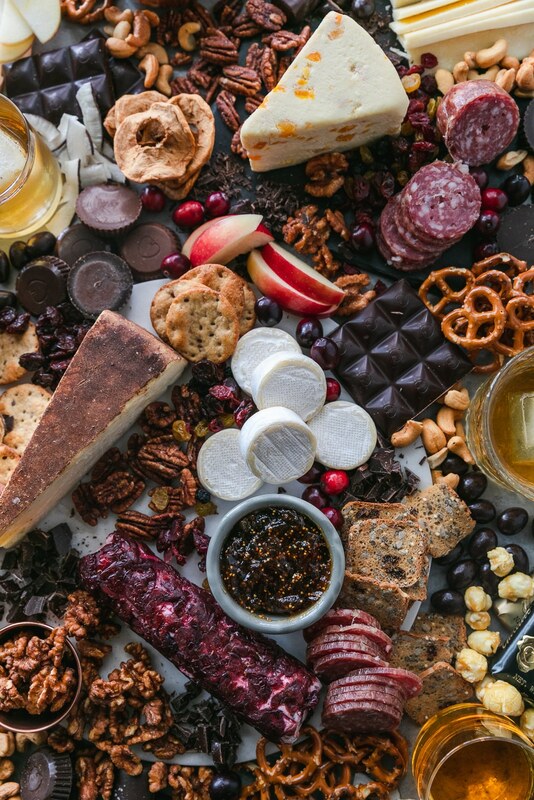 Dessert cheeseboards are just so much fun, especially for the holidays! 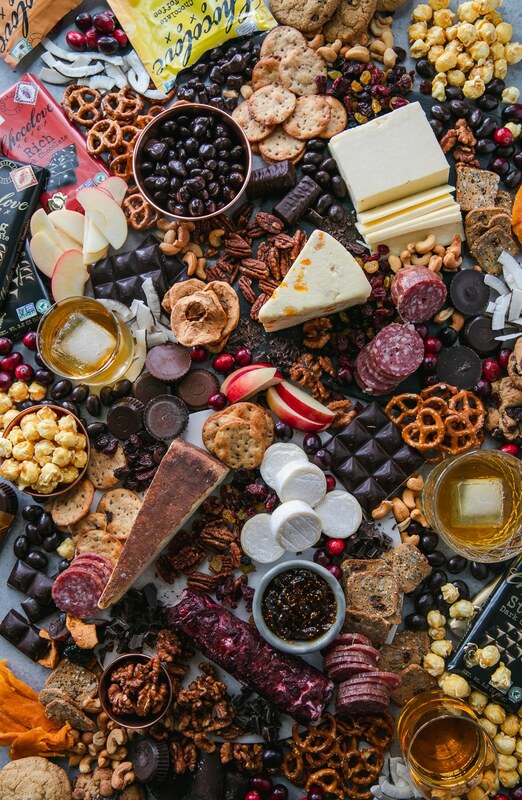 Who wouldn’t want to feast on a huge spread of chocolate, cheeses, candy, crackers, fruit, and bourbon?! And you don’t necessarily have to serve this board for dessert, it could be an appetizer spread, or really, any time of day spread. Especially today, like post Black Friday shopping snacking. Right?! 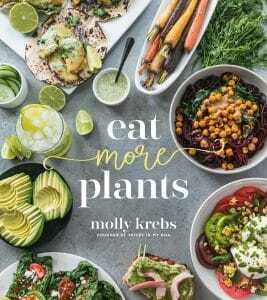 Now this board isn’t really a recipe, but more of a source of inspiration for you this holiday season! 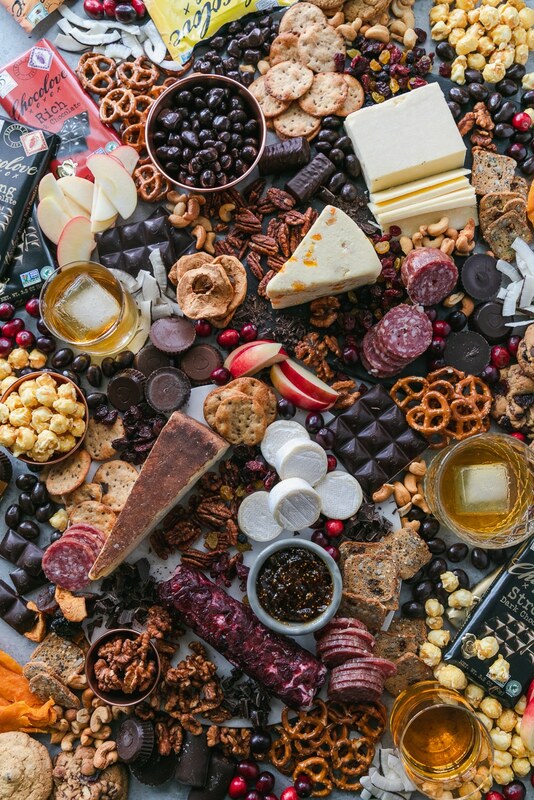 As long as Chocolove, cheese, and bourbon are involved, we’re in business. For this one, I used four different cheeses – an aged cheddar, white stilton with apricots, mini brie wheels (how cute?! ), cinnamon bellavitano cheese (similar to parm! ), and cranberry goat cheese. But feel free to use your faves! For all of the extra stuff, I used an assortment of Chocolove peanut butter cups, hazelnut butter cups, caramel filled cups, almond butter cups. And you can find all of their delicious cups here! AND, all of their delicious candies, like their dark chocolate almond toffee, dark chocolate covered pretzel bites, and dark chocolate salted almonds, which you can find here. They’re SO good. I don’t know if I could pick a favorite! 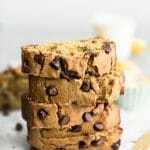 I even used some of their gourmet candy bars too! So. many. good. things. 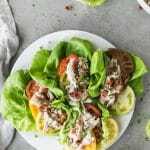 To fill in all of the spaces, I used an assortment of my favorite crackers, pretzels, and caramel popcorn, but you could certainly use different chips, baguette slices, and whatever other snacky things you like! Candied nuts and dried fruit are also great additions, fresh apple slices, and fresh cranberries are great and festive to add as well! 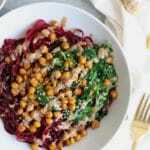 I love adding salami and cured meats too, for a little something salty with all of the sweet things! Prosciutto and pepperoni would be delicious here. If you couldn’t already tell, you truly can’t mess up this board. 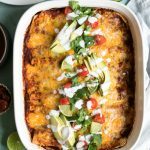 Just put together all of your favorites and it will be perfection! As for the bourbon, I’d recommend serving it in little shot glasses or smaller glasses, either neat, or with an ice cube depending on your guests preferences! 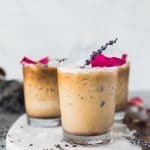 These apple pie bourbon fizzes would also be an amazing addition to this spread! 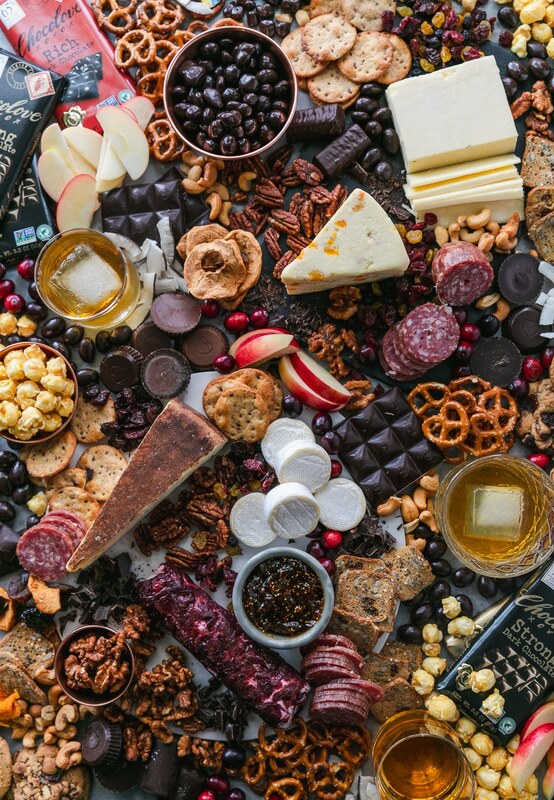 My tips for putting this together, are to start by placing the cheeses on your board, ramekins of preserves, then the crackers, and then the chocolate. 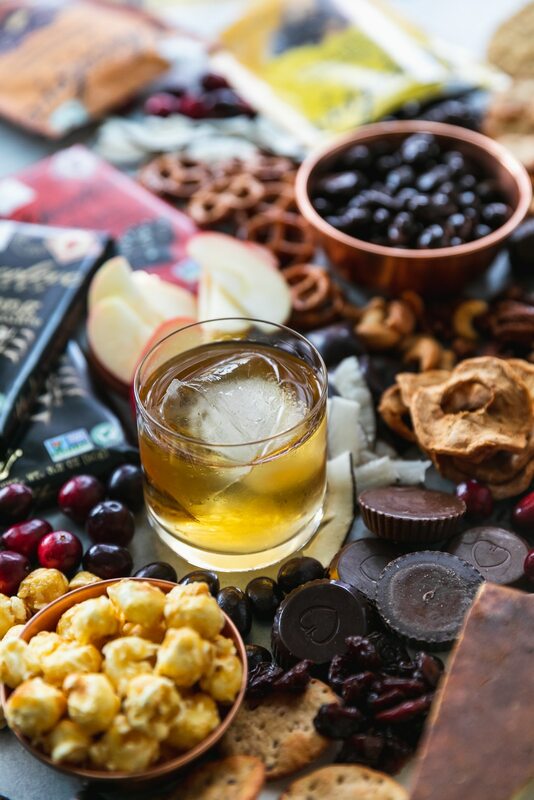 Then fill in all of the spaces with the glasses of bourbon, dried fruit, nuts, caramel corn, apples, cranberries, and whatever other add-ons you like! 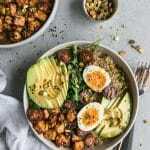 Don’t worry about making it perfect and planned out, just fill in all of the empty spaces with your favorite snacks, and it will come together beautifully. I promise! Just have fun with it. I also chopped up some bars of dark chocolate, and added some whole bars in their wrappers too – which could be a fun gift for your guests to take home too! 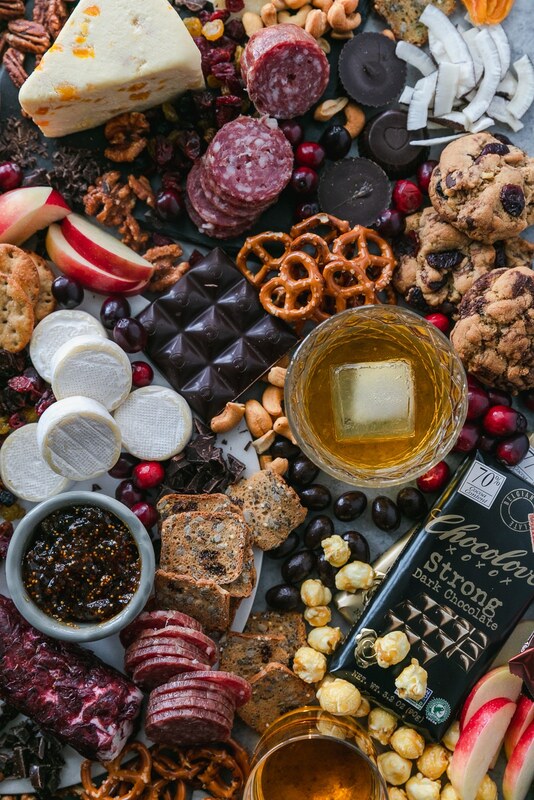 This Chocolate and Bourbon Cheeseboard is such a fun spread to serve to guests during the holidays! 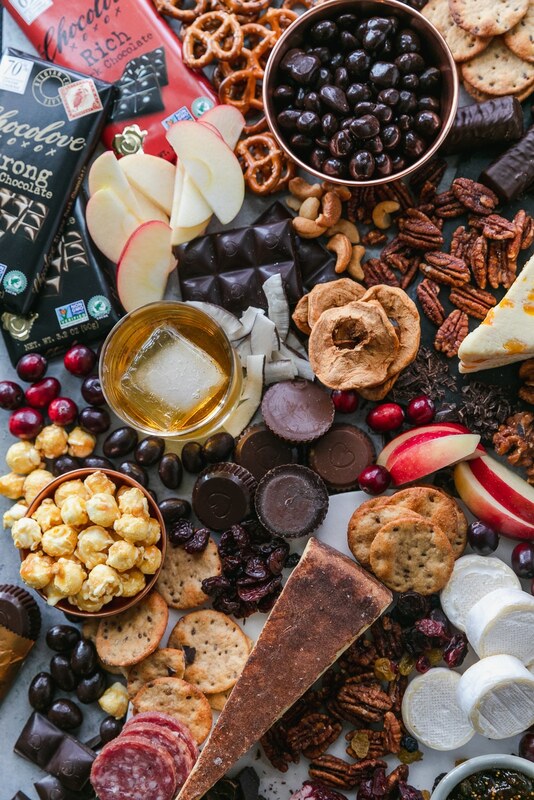 It's filled with your favorite cheeses, dark chocolate, crackers, fruit, preserves, candy, nuts, and glasses of bourbon! 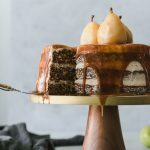 It's the perfect dessert or appetizer board to entertain with this holiday season - such a crowd pleaser! cookies, or other baked holiday treats! 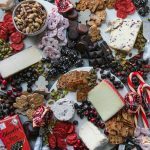 Start by placing the cheeses on your board, ramekins of fig jam or other fruit preserves, then arrange the crackers/breads around it, and then fill in with the chocolate bars, chocolate cups, and chocolate candies. 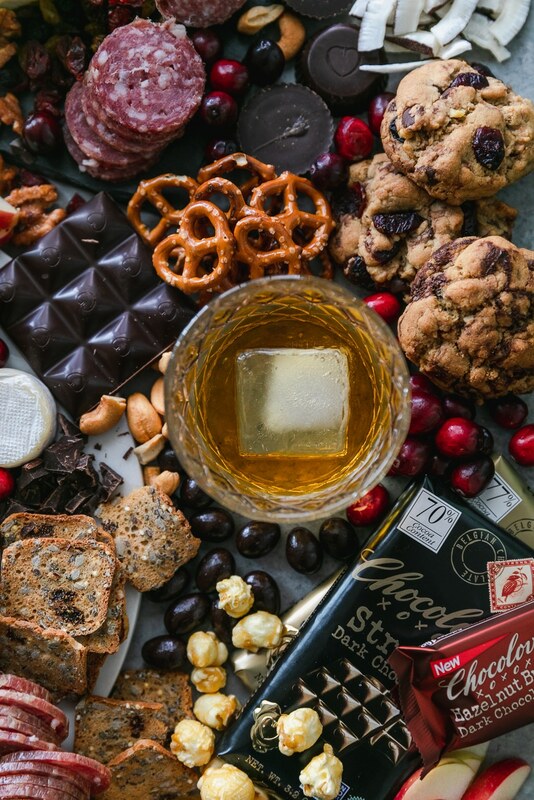 Then fill in all of the smaller spaces with the glasses of bourbon, dried fruit, nuts, caramel corn, apples, cranberries, baked treats, and whatever other add-ons you like! *I find both the white stilton with apricots, mini wheels of brie, and the cinnamon bellavitano at Trader Joe's! Sartori also makes an incredible espresso bellavitano, peppermint, and cognac soaked bellavitano that would be amazing here. I find those at Whole Foods usually! 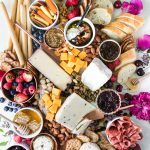 My Go-To Summer Happy Hour Cheeseboard!